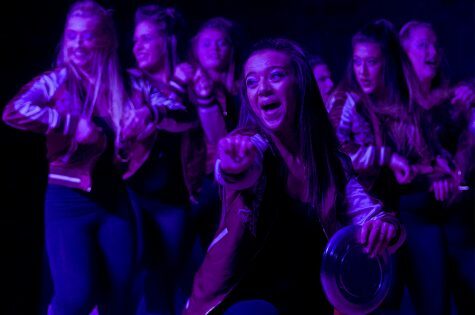 Alpha Phi sorority brought Delta Delta Delta’s eight-year winning streak to a halt after taking first place at Greek Sing Sunday afternoon. 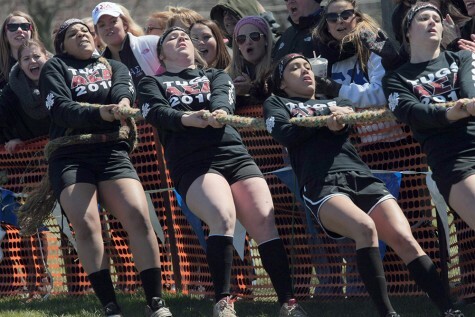 Sigma Alpha Epsilon won first place for the fraternity division. 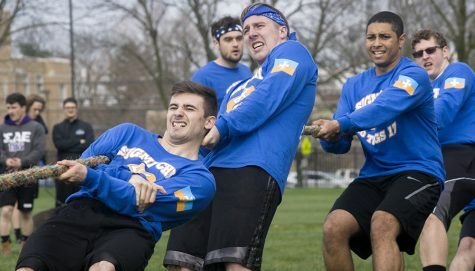 Last year, Alpha Phi fell one point short and took home second place, so Hogan said they knew they had to bring their A-game to beat the defending champions. Alpha Phi started their performance with “White Winter Hymnal” by Pentatonix, followed with “Hymn For The Weekend” by Coldplay, “Take Me To Church” by Hozier and ended with “Ritual” by Marshmello. 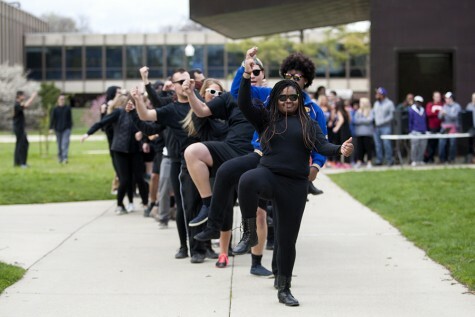 Erika Von Itter, a member of Alpha Phi and senior communication studies major, has participated in Greek Sing for three years now. 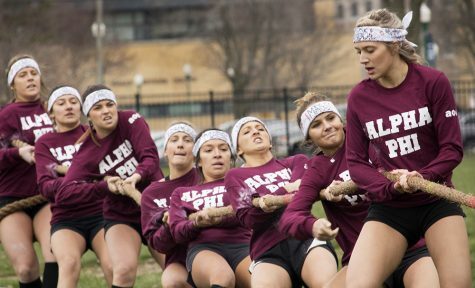 Von Itter said the sorority knew Delta Delta Delta was their biggest competition, so when it was announced that they placed second, the women of Alpha Phi were shocked. 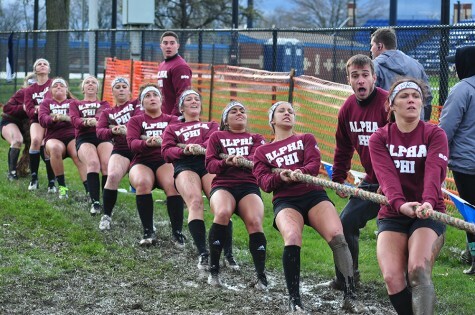 Hogan, who will be moving from assistant coach to head coach next year, emphasized just how much she appreciates Alpha Phi and Greek Week at Eastern. 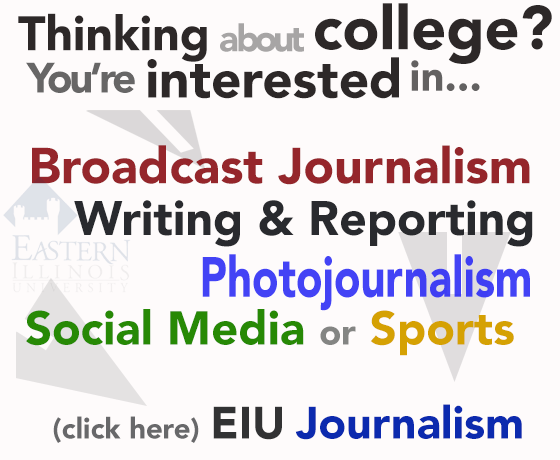 Two of the four judges, Megan Corder and Cayla Maurer, expressed how impressed they were with Sunday’s competition. Judging for her second time, Maurer said she felt more prepared knowing what to expect and what the teams would be scored on. Corder, on the other hand, had no judging experience before Sunday’s competition. “I was in choir in high school and an apprentice for an opera, so I think that’s why I was recruited to be a judge,” she said. Corder said she focused mainly on stage presence when critiquing the performances. 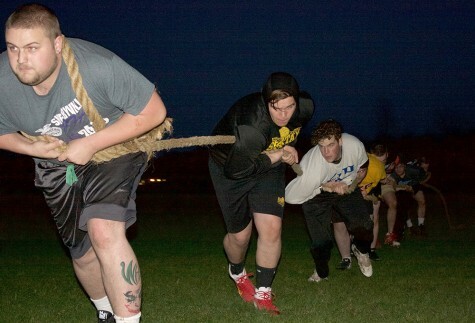 Greek Week will continue this week with Tugs, Puppies on the (Library) Quad, Greek Week Trivia, Relay Races and more.